Hello friends! I got a comment that requested I pair wine with books. That reminded me, I actually have a podcast about books called Epilogue Podcast. You can find us on iTunes, Stitcher, and here! You can email book request at epiloguepod@gmail.com or tweet us at @EpiloguePodcast. We cover books and book news! To make this podcast interesting, we started pairing our podcast sessions with cocktails. For the book Dogs of Babel by Carolyn Parkhurst (CW for violence against animals in this book and suicide), we drank a Regal Beagle (which has wine!). Listen to our podcast episode for this book here. Muddle lime with honey and add ice. Pour grapefruit juice over the top and add a splash of wine. Stir a bit. Garnish with a sprig of rosemary. I will post our other pairings in the coming weeks! Posted in Book Pairings, Uncategorized, White Wine and tagged Book Reviews, Books, Cocktails, Dogs of Babel, Epilogue Podcast, Podcasts, Vodka, white wine. Bookmark the permalink. 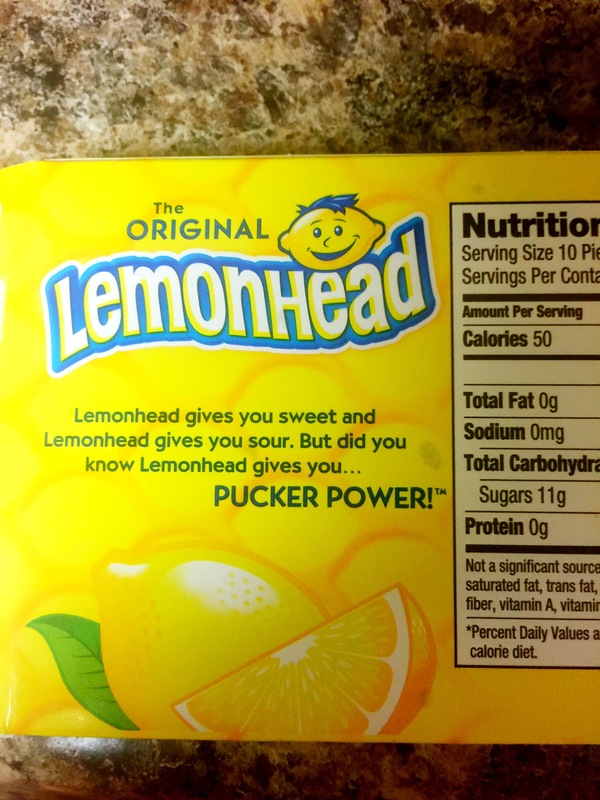 When Life Gives You Lemonheads…Read for a Chance to Win! Hey friends! It has been over three months. Spring was a hectic time for me. I had a full course load, a full-time internship, and the rest of my life to keep going. I finished finals in May and had about 12 days off before starting summer semester. But soon I will be done and have a proper break! In the mean time, I am avoiding some work to bring you a brand new post! 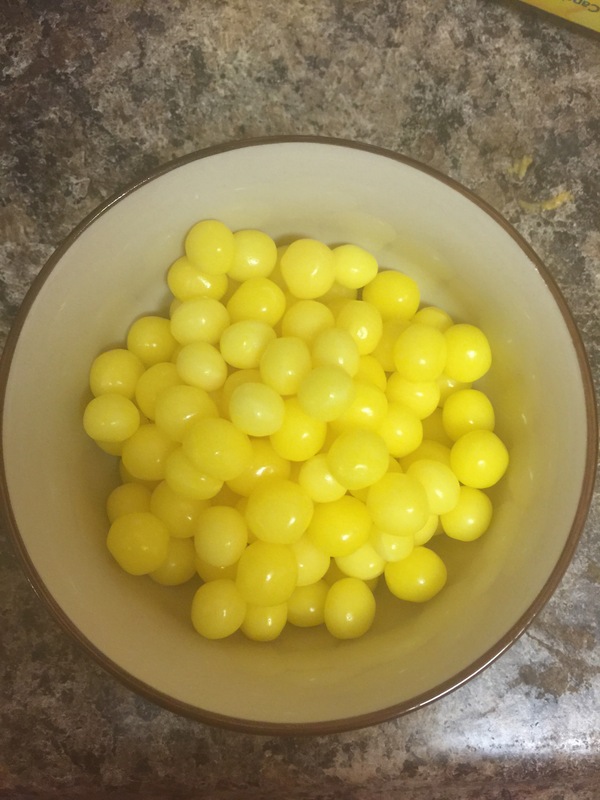 I am featuring one of my favorite childhood candies today–lemonheads! I love anything lemon scented or flavored in the summer, don’t you? I originally planned to pair this with a bottle of wine that had a distinct lemon flavor, but Sam drank it accidentally before I told him not to open it. It probably was too sour anyway. So I moved onto the other white I got with my Club W wine box and tried the Chenin Blanc. I thought I would buy a chardonnay, but the Chenin Blanc is sweeter and a more interesting pair. The Chenin Blanc is very ripe and natural with a distinct sweetness. True to the theme of the post, each sip gets tangier. 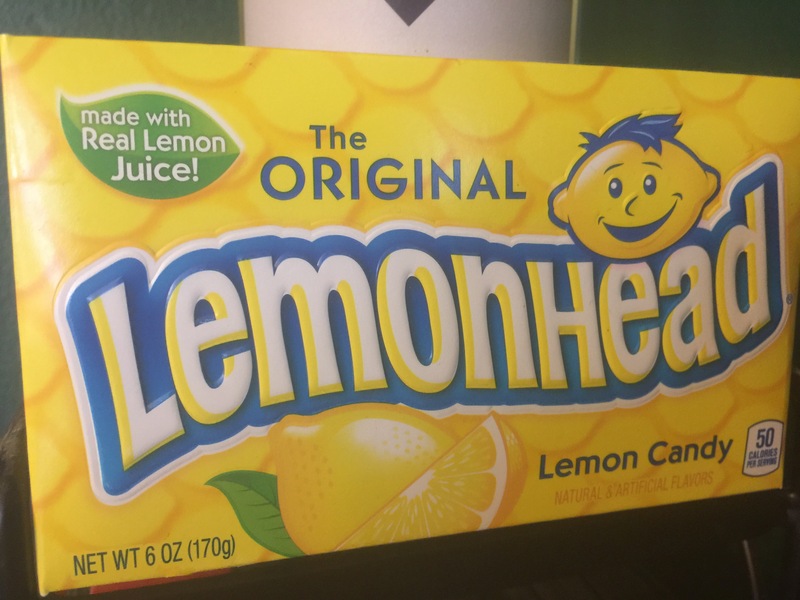 The Lemonheads are delicious but a little stale since I waited a long time to pair them. The pairing is ok but the result is overall bitter. But Sam really liked it, so you may want to give it a shot. The wine did not turn with the sharp and challenging candy. Lemon and all citrus is always a challenge! I am a member of Club W which is a wine subscription service. I am not working for them or receiving any benefits from them whatsoever. Once in awhile they give me a number of boxes to give away. You sign up on the website and they will send you three wines in one box. 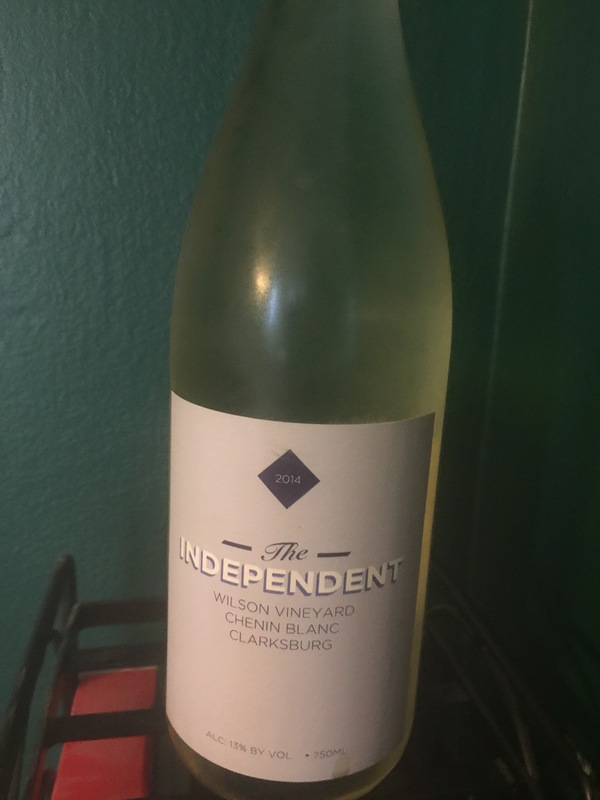 Their wines are often featured on Uncorked Unwrapped–like today! You will have to pay shipping with the order but you can unsubscribe if you don’t want to continue receiving them. I will send the first three to fill out this contact form an email with information on how to get a box. This offer expires July 9, 2015. Posted in Uncategorized and tagged Candy, Chenin Blanc, Club W, Lemon, Lemonheads, white wine, Wine. Bookmark the permalink. I am on vacation right now and today is my last, sunny, happy day. I’ve enjoyed every minute of mojitos, skinny dipping, and bitter games of Monopoly. But I have not forgotten my duties. Nostalgia hides itself in strange ways. 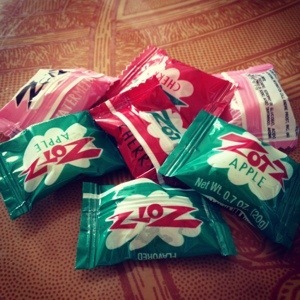 While in a candy store, I came upon a candy called Zotz. It’s a fizzy, sour candy that I ate during the 90s. I forgot about it until I saw it in the store of candy memories. I had not done a challenge with a fizzy partner, so it met my loose criteria. The wine also has a story behind it. 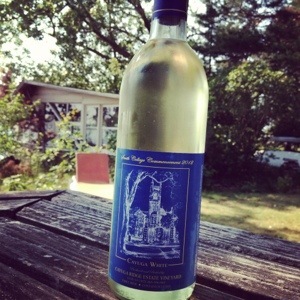 Smith College, my old stomping grounds, started producing commencement wines in 2011. They weren’t half bad, so I picked up a red and a white. Needless to say, memories had a big influence over this pairing. The white wine seemed like an ideal pairing for the sour candy. It’s usually refreshing and with a touch of sweetness. Naively, I imagined that the sourness would play delicately with the sweetness of the wine. And I imagined the fizziness could create a neat champagne effect. Makes sense, right? It wasn’t exactly bad. I just wouldn’t repeat or recommend it. The Cayuga has a fruity, sweet and silky flavor. It slides of the tongue like a milk chocolate. The lasting flavor is tart, a sharp and surprising contrast to the syrupy quality. The candy is an 8-yr olds dream. At first, it’s a sweet hard candy. After a few dances on the tongue, the insides begin to fizz slowly out with a strong, sour taste. Once you bite in, you find the remaining bubbles hiding inside. All of the flavors taste the same, as most 50 cent candies do. But these two do not play well together. The wine is unpleasant and bitter after the Zotz. My stomach churns, rather perturbed by the acid attack. I think sour candies are tough, but maybe there are other sour mediums more suited to this challenge. Get excited for an account of the winery Sam and I visited while on vacation. It was a fun tasting session and a beautiful location. 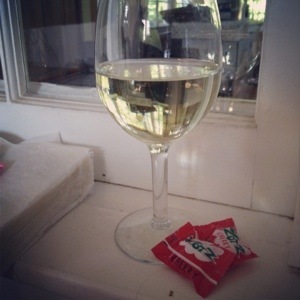 Posted in White Wine and tagged Candy, pairing, Smith College, Vacation, white wine, Wine, zotz. Bookmark the permalink. It’s thirsty Thursday (well, if you are a bro) and what a perfect occasion for National Sauvignon Blanc day! Join the celebration here and converse on Twitter with #SauvBlanc. Posted in White Wine and tagged Sauvignon Blanc, white wine. Bookmark the permalink. I’ve returned! I do not have a whole post ready, but I have a little treat. I had a drink last night at District Commons that I had to share with you. It’s called Black Velvet and it is a pairing of sorts. I’ve always been intrigued by wine-hop combos so I took a chance. The wine was light and a bit dry, with a lingering fruity sweetness. This drink was like a layered candle so I didn’t get to the beer until finishing the wine. The effect? 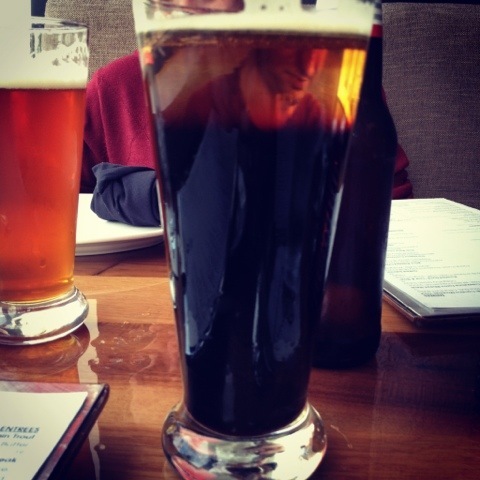 It lightened the stout experience, a beer too heavy for the summer time. And I swear by stout! The stout was bitter and heavy, but felt lightened by those first sips of white. Have you had a good “hop”tail lately? Posted in Uncategorized and tagged beer, District Commons, hoptail, summer, white wine. Bookmark the permalink.